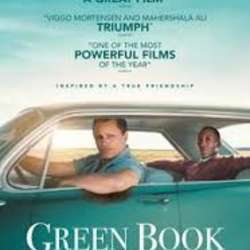 Green Book - Road movie nominated to 5 Academy Awards!!! You must be a member of the Barcelona Movie Nights Group to attend this activity. Would you like to join this group? Critics have rated this movie 81% Fresh and audiences have given it 95% approval! Nominated to 5 Oscars (Best Film, Best Lead Actor, Best Supporting Actor, Best Original Screenplay, Best Film Editing)!!!! Movie lasts Protected content .